Car and motorcycle accidents leave bitter memories. Anyone who has experienced it would admit that it is a harrowing experience. In fact, it is a miracle to come out of such a situation unscathed. Injuries are sustained, money is spent, and dreams are terminated (or at least paused). The most unfortunate thing about this whole episode is that victims find it difficult to maintain or return to the previous level they were both physically and financially. In fact, victims may not be able to fend for their selves again as such an accident may leave them paralyzed. Rawa law group is a legal institute that is established to fight for the rights of car and motorcycle accident victims. 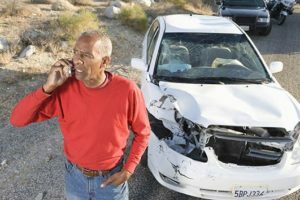 We have an experienced team of car and motorcycle accident attorney that has won several of such cases and recovered hundreds of millions in settlement for different clients. Our motorcycle accident attorneys are also open to the idea of coming to your house or paying you a visit in the hospital. Also, our payment system is both flexible and transparent as there are no upfront charges and you do not even have to pay a dime until we win your case. What this means is that we do not charge our clients for evaluation of cases as all we set out to do is to offer ethical legal counsel. Because we know that you would want to be kept informed of happenings, we make out time to keep you abreast of events as they unfold. If you choose us to fight for your settlement claim, you are entitled to a personal, one-on-one representation from one of our qualified motorcycle accident attorney in Inglewood. We have over 55 years of combined legal experience and we offer personalized representation and individual attention. With our exclusive offering, it is evident that we aren’t all about the money or what we can make from our clients; we are more after helping you find closure. We handle cases in the best possible way. You can reach us on the contact details written below.